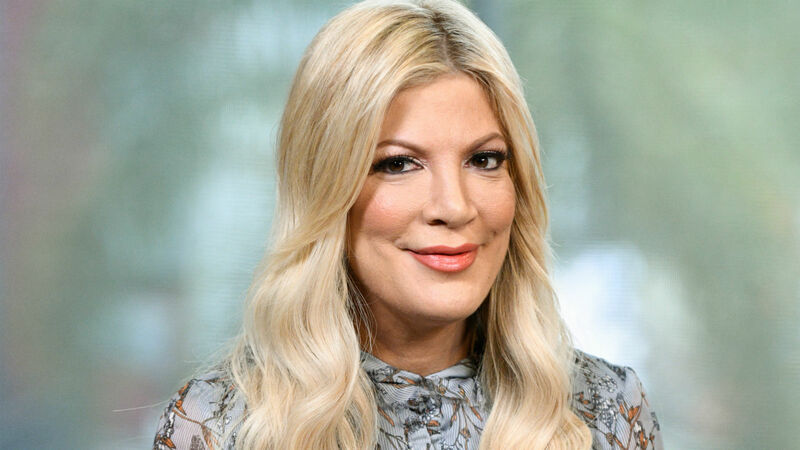 This news could be either good or bad, especially for original Beverly Hills, 90210 fans: Tori Spelling confirmed a 90210 reboot is in the works. Guess what? Most of the original cast is returning as well, save for one familiar face. Let’s just say if you loved Brenda Walsh, don’t get too excited. Spelling confirmed exactly that on Friday. “So it’ll be a whole ensemble cast playing a heightened version of themselves,” she said, before adding that “almost everybody” will be returning, including Luke Perry. He currently stars on The CW’s Riverdale, which was just renewed for season four. “Luke has Riverdale, so Luke will do as many as he can do, but almost the whole original cast,” Spelling noted. The Access hosts inquired about Shannen Doherty and whether or not she’d be returning. Doherty was recently treated for breast cancer, which she announced was in remission last September. Spelling said, “We would love to have her on. There is no status right now. But if she’s watching, we would love to have you do it.” Doherty has not yet commented on the 90210 reboot or her status. However, now that Spelling has officially confirmed a Beverly Hills, 90210 reboot is happening, all fans have to do is patiently wait to see when it will officially premiere.